Purple, mauves and whites are the traditional colours of bereavement. 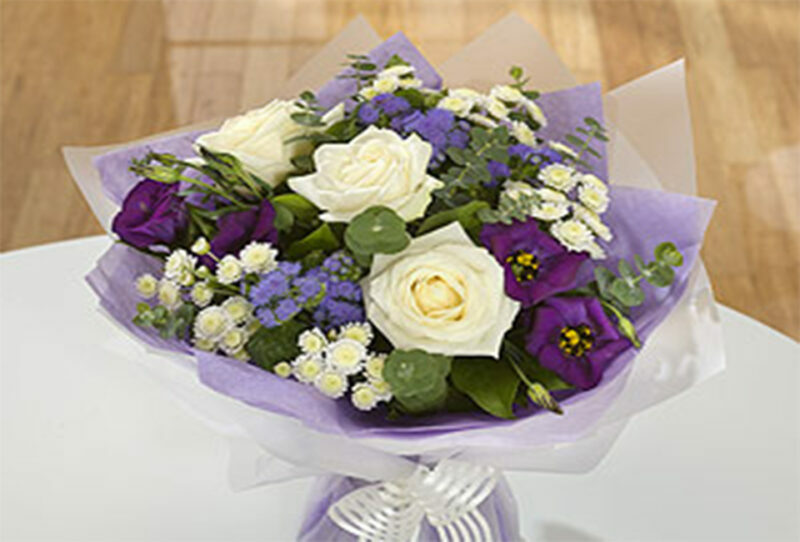 The flower in this hand-tied bouquet are symbolic of that, whilst giving a calming influence at the same time. A lovely way to express your sympathy.